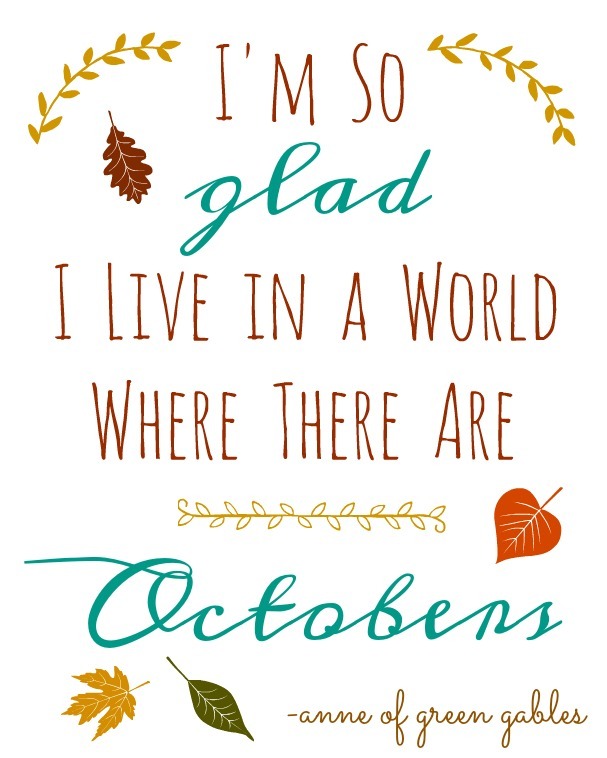 Print out this beautiful October printable to share your sentiment for October and the season. This is the 2nd printable in the 31 Days of Free Printables series. Is October your favorite month too? You’re going to want to make sure to print out this printable and display it for all to see. I tried to incorporate my favorite Fall colors into the print. Who says Fall doesn’t have as many beautiful colors as Spring? Print it out, pop it in a frame or place it on a clipboard and you have instant art. Over this quote! And Octobers! !